J-Tech Digital provides one-year free replacement warranty. 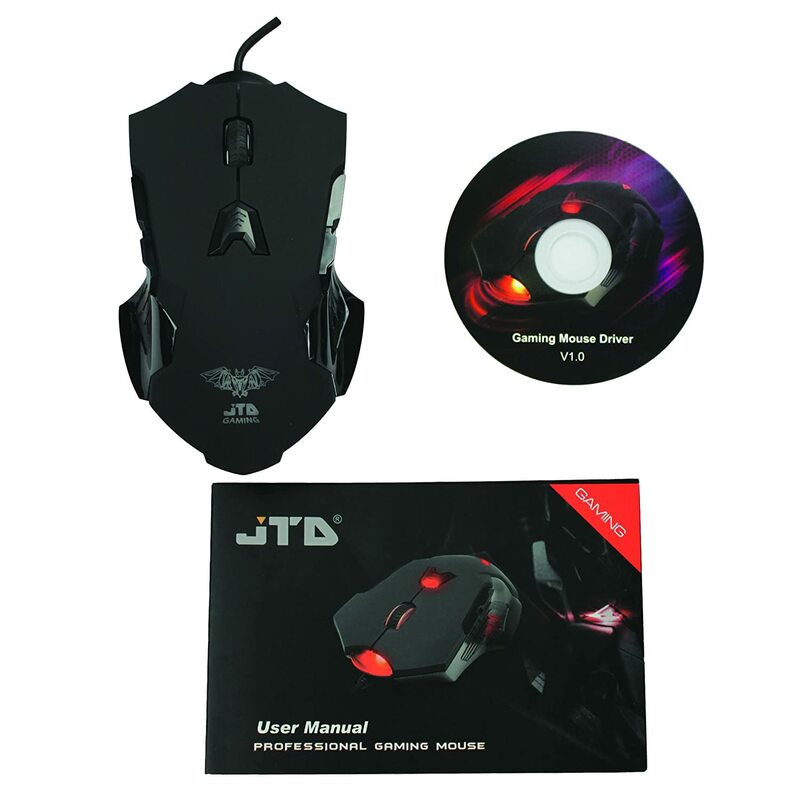 This JTD ® M999 Gaming Bat Laser Gaming Mouse is our top-of-the-line gaming mouse designed for no-compromise gamers who crave increased control and accuracy. With six levels of adjustable DPI sensitivity, the ability to customize each button's function, and creatable macro functions, the Gaming Bat will be your personalized weapon of choice. 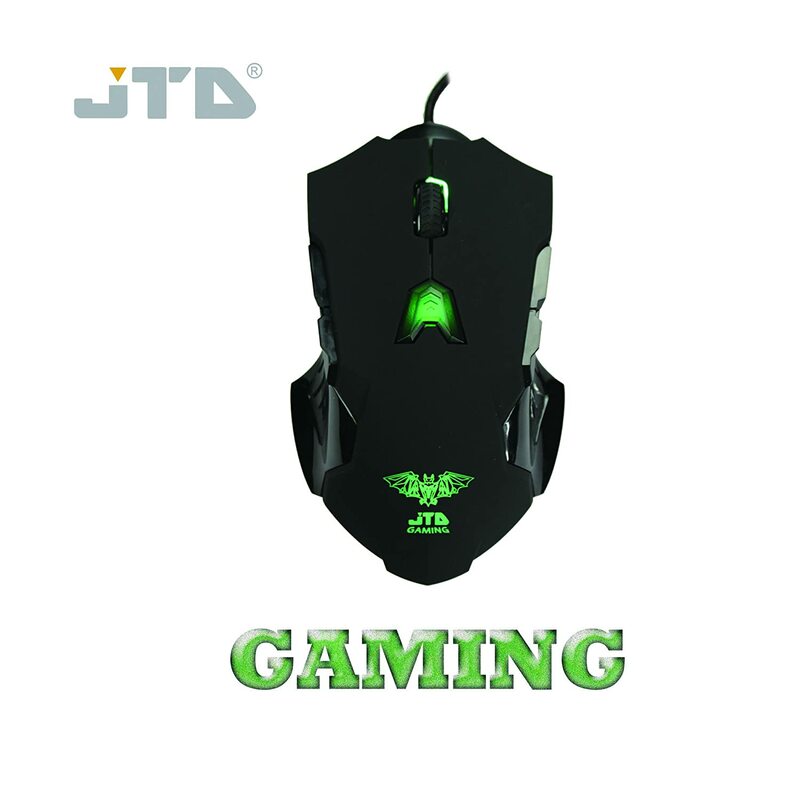 This high performance gaming mouse comes from the Avago ADNS-9800 laser sensor, which supports up to 8200 DPI sensitivity to give you a competitive edge and offers dramatic improvements in high speed motion detection - up to 150 IPS and 30G acceleration. 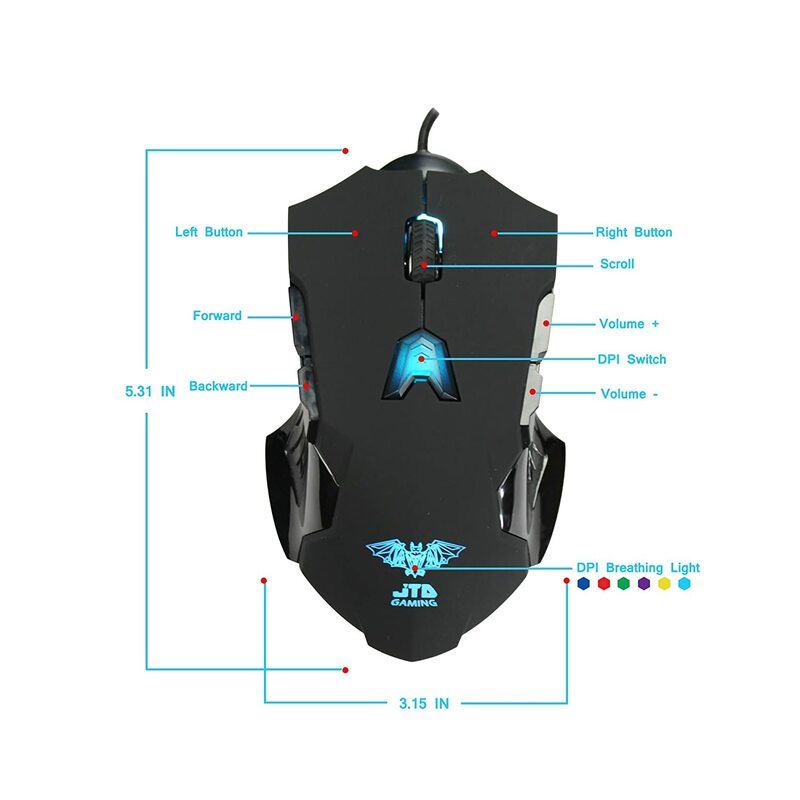 It is also built with Omron micro-switches to offer crisp tactile button feedback and is ergonomically designed for right or left-handed users. 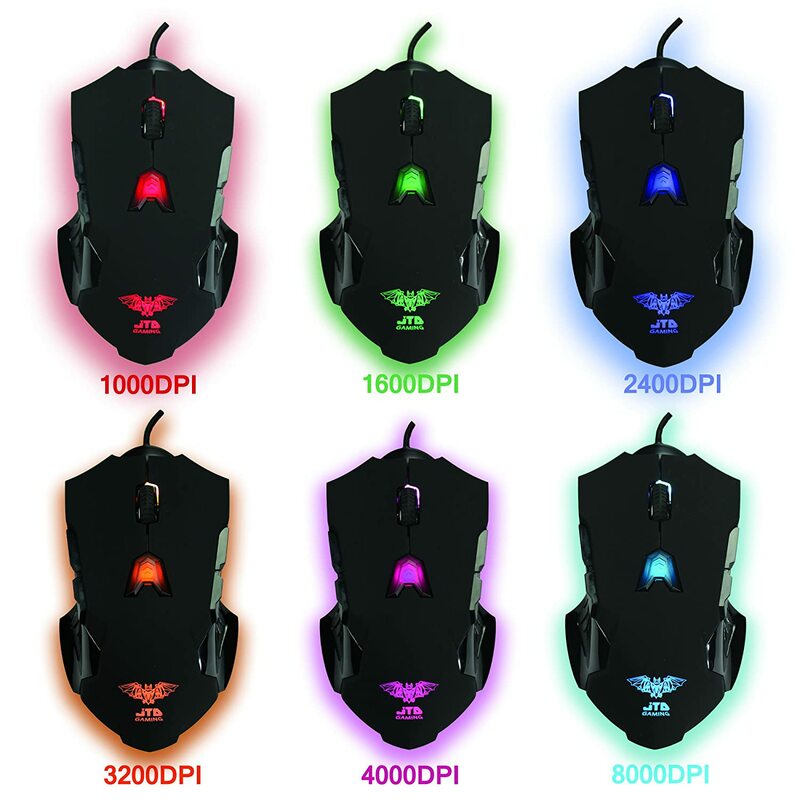 The DPI sensitivity is indicated by the mouse lighting color and supports 200 DPI step adjustments. The 8 precisely-placed programmable buttons can be set to whichever functions meet your needs.